Below there is information about certain processing of personal data that PROEGA ENGINYERIA-CONSULTORIA, SLP performs, in accordance with the provisions of Regulation (EU) 679/2016, regarding the protection of individuals with regard to the processing of personal data and the free circulation of these data (GDPR). 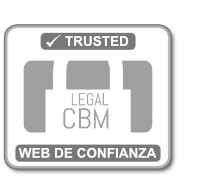 PROEGA ENGINYERIA-CONSULTORIA, SLP is not responsible for compliance with data protection regulations of third parts owners of other webs to which webs can be linked through this web or who have been able to establish links to it, so that the User is the person in charge of the personal data that can provide them. What are the purposes of the processing for which the personal data are intended and the period for which will be stored? The processing of the data we request is intended to respond your requests of information and, as soon as you have authorized it, we’ll also send you newsletters, information related to our services, by any media (postal, email or telephone). The data will be stored until the cessation of the activity is requested or one year after the first contact. The legal basis for the processing of your data in order to respond your requests for information is your consent. “Customers” are understood to be those people who contract any of our products or services. We process your data in order to manage the professional relationship with you, the elaboration of budgets, the invoicing of them, answering queries and incidents. The data will be stored during the legally stipulated deadlines regarding the prescription of responsibilities. “Candidates for employment” are defined as persons who aspire to a job in our organization. The management of the relationship with people interested in obtaining a job. The data will be stored until the award of a job and in any case one year after the presentation of the application. The applicant’s consent to employment. You may withdraw your consent for the processing of your data at any time, without affecting the legality of the treatment based on the consent prior to its withdrawal. Your personal data will be processed only by the controller, not being disclosed to third parties. For the effective exercise of the rights indicated, you must send a letter to the effect addressed to the person in charge, to the following postal address: c. Jacint Verdaguer, 16, office 4-5 -08500- Vic- (Barcelona) or sending an email to info@proega.net . You must accompany a copy of your ID, passport or other document that identifies you, except in the case that you use your electronic signature.